BENGALURU:The Vachana and Sharana movement of the 11th and 12th centuries aimed to usher social change, challenging the caste hierarchy and was also one of the most significant times for Kannada literature. The movement led to the evolution of ‘Vachana Sahitya,’ which is a form of rhythmic writing in Kannada or prose texts.Over 250 Vachanakaru (writers), compiled over 11,000 vachanas (verses). But, how well do you know about it? Better yet, have they even been documented well to further linguistic and literary research? Well, a few years ago the answer would have been in the negative. 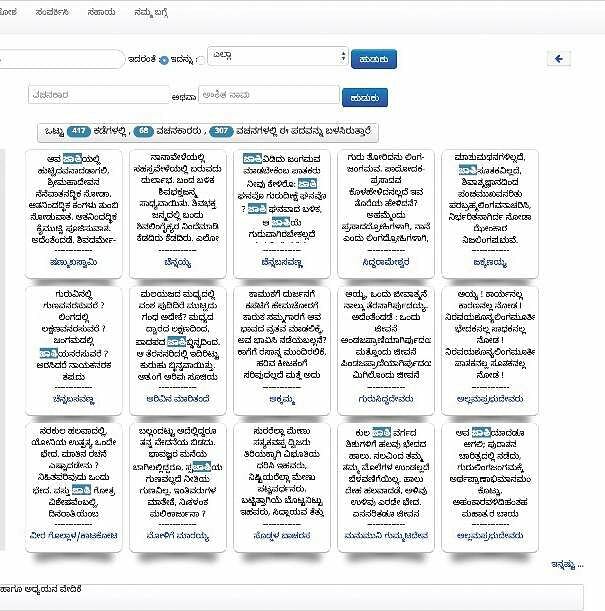 Almost 21,000 of the verses in 15 volumes were published by the State government in the online portal – Samagra Vachana Samputa, but this platform wasn’t user friendly and did not allow search options. Two Wikipedians along with two linguists brought these verses on a project — Vachana Sanchaya. Under the supervision of Kannada liguists O L Nagabhushana Swamy and Vasudendhra, Kannada Wikimedians Pavithra Hanchagaiah and Omshivaprakash HI converted the font to Unicode to make the verses searchable on this project. The collection is now ready to enrich the Kannada WikiSource, says Omshivaprakash. “Our team worked on bringing the vachanas into Unicode standard and also gave it a structure to make research possible on literature using technology. We added concordance, like-wise search and absolute,” explains Omshivaprakash. The collective used used w3c standards to make the portal acccessible to all devices. It was ready to be used by visually impaired person using eSpeak for text to speech in Kannada when it was launched in 2014. The project currently has around 200,000 unique words that were derived from the verses. People use the repository from Facebook, Twitter, and Google+ profiles. “Basava Kalyana Development Board in Bidar and other communities in and around appreciated our work personally during the early days,” says the 34-year-old who heads the project with support from his wife Pavithra, 33. T he platform allows reading of Kannada literature in a user friendly way and also furnishes reasearchers with the opportunity to review the content and understand it easily with search option. “We have got 10 million hits so far since launch and that says something,” says Omshivaprakash. The collective is now adopting this research platform for other Kannada literary works such as Daasa Sahitya, Vaddaradhane and Kumaravyasa Bharata. They have already created an alpha mode of Vaddaradhane and Kumaravyasa, which will be made live soon. Omshivaprakash who works for Carmatec IT Solutions Private Limited as a director for business development and technology in the city claims that several apps have scrapped data from their sites without an acknowledgement. “We are happy to see that we did make people think around such requirements,” he says. He adds that people use their Wordpress plugins and ask them to share data to build apps and to do research. “All this info is public in our Google Group. We have kept the platform open for all such research work around language tecnology,” he says. While anyone from anywhere can contribute to the projects, the collective includes a few regulars including Yogesh K S 27, Shrividya Bharadhwaj 28 and Devaraj K 27. 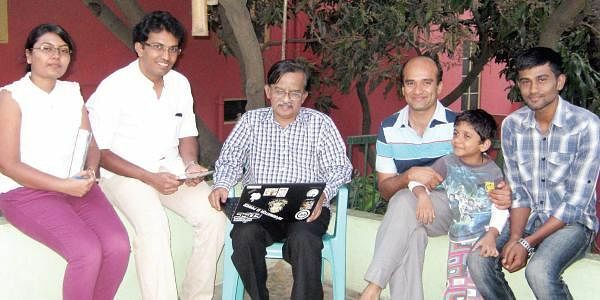 The collective of around 10 core members headed by Omshivaprakash also created a searchable book index for Kannada eBooks called Pustaka Sanchaya. This helps you find over 5,000 books from digital library of India, Osmania university and Kanaja’s eBooks in Kannada.